As avid BWMN users might have noticed, login was not possible for some time. The reason was my provider disabling some scripts because they contained malicious code. I restored the correct scripts, changed all passwords and modified the access rights in order to prevent this from happening again. If similar problems happen again, please let me know via email, as I do not visit the site regularly. "We want to announce you the newest Map Pack – 2.5. We were working on adding new maps since 1-2 months. We discussed all possibilities and we selected the best maps for our map pack." low ground main into high ground nat setup. the geysers at the 1,11,5&7 expansions only contain 2500g. east and west divided by a long central valley. Under the "force fields" (designated by pylon power matrices) ranged attacks have a 50% chance to miss. 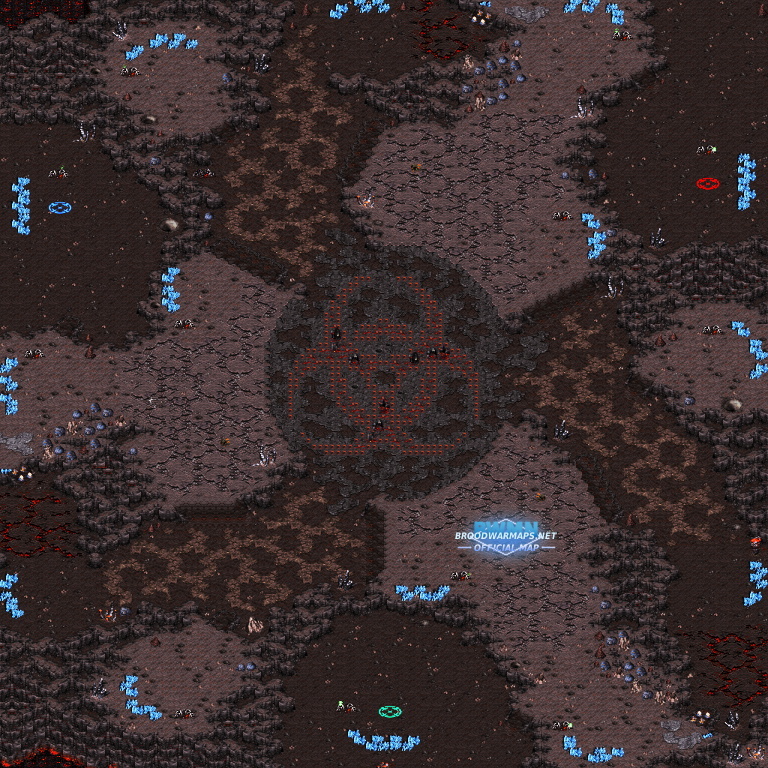 the «conservative» version does not have pylon fields to indicate the cover-providing areas, only ground textures. the outermost mineral patches of each mineral-only expansion are reduced to 749g each..
ring-shaped ridges around the centre. many buildable potential proxy spots all around the middle. main choke can be sealed off with a single barracks. multiple choices for 3rd expansion. mostly buildable middle gives good proxy opportunities. 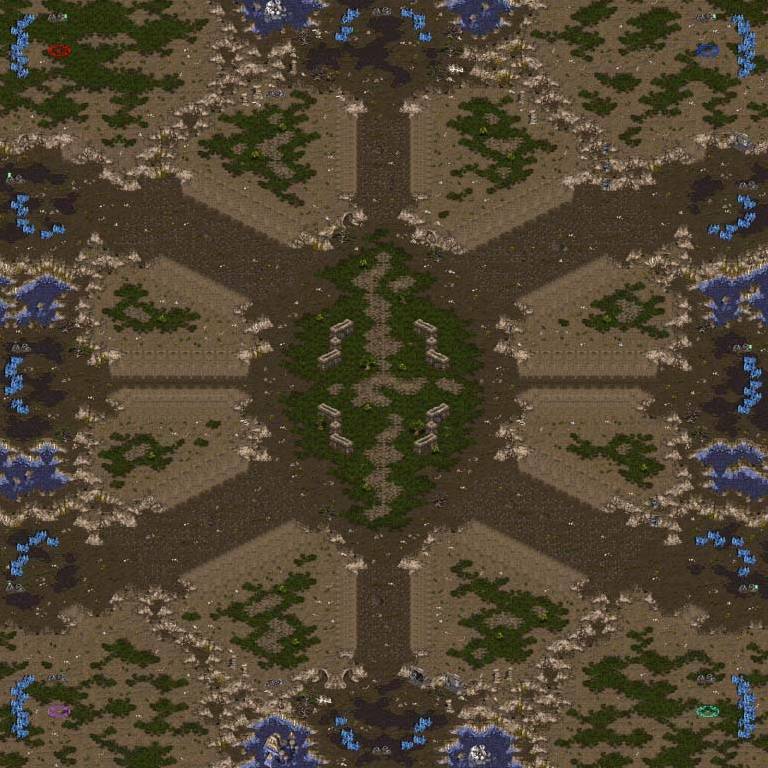 neutral command center in the centre for Zerg to infest. A series of plateaus around the center of the map move the fight from the center of the map to the area around it for control of the high ground. See? Not alot of features! 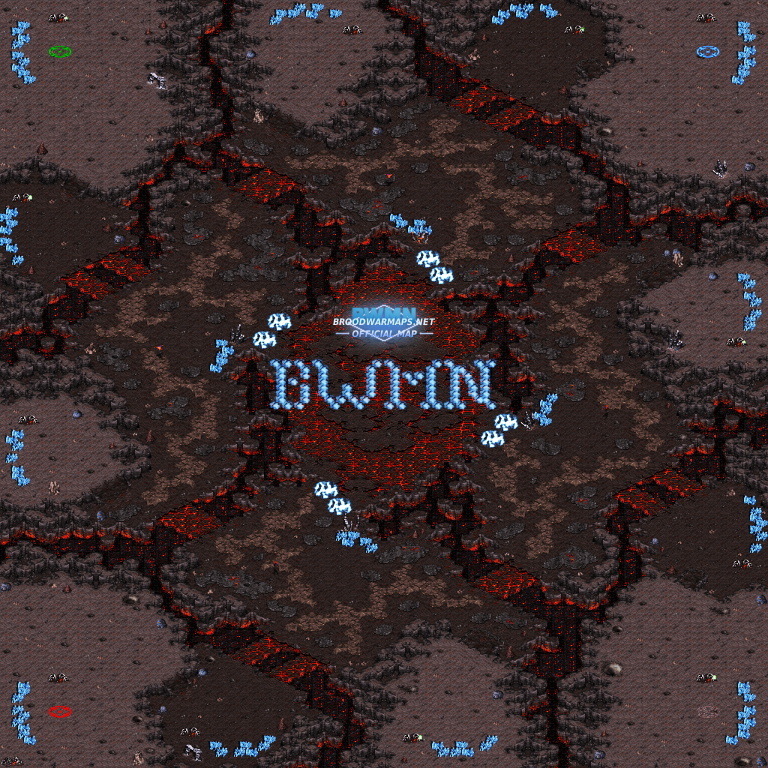 The BWMN open has just entered signups on TL.net. 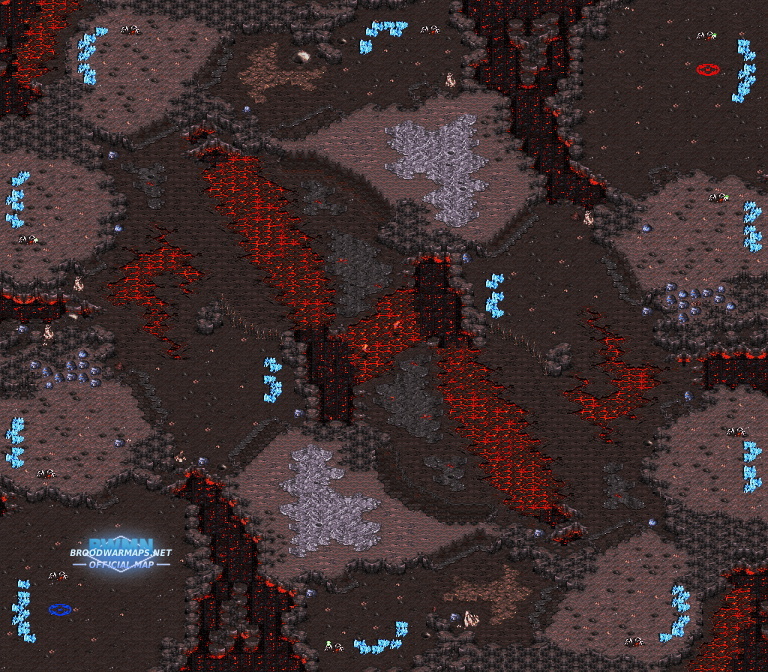 The tournament uses the latest BWMN Map Pack. It's a 32 player As of November 19th it has been extended to a 64 player! tournament with initial group stages, 2 3 Bo3 rounds and Bo5 semifinals and finals. All games from the Ro32 onwards will be covered by casters, so expect to see a lot of exciting games on our maps. There is a Liquipedia page to keep track of the current progress. Signups will close on November 25th, the tournament itself will begin on December 2nd and run for 7 weeks. Thanks to pucca and Supernovamaniac for being the main casters as well as for additional graphics and resources. Thanks to Endy and Mewka for the Liquipedia article as well as to LML for administering. And of course, thanks to all mappers who contributed to this map pack through their work and counsel. Finally, special thanks to L3gendary, who is not only headorganizer for the event but also sponsired the 150$ proce pool, for making all this possible. The new BWMN map pack is out. 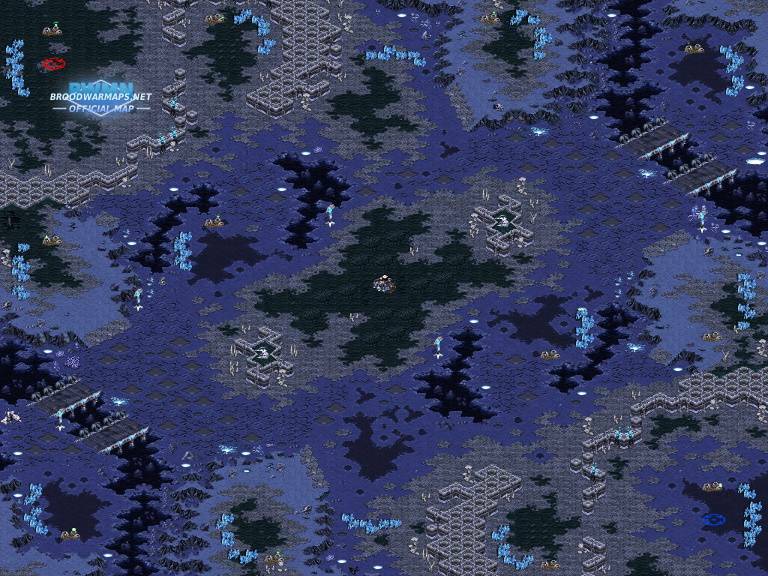 All these maps are approved to be bug-free and ready-to-be-played. You can grap the whole pack as a *.zip file either here on site (please observe the download instructions to open it) or here. 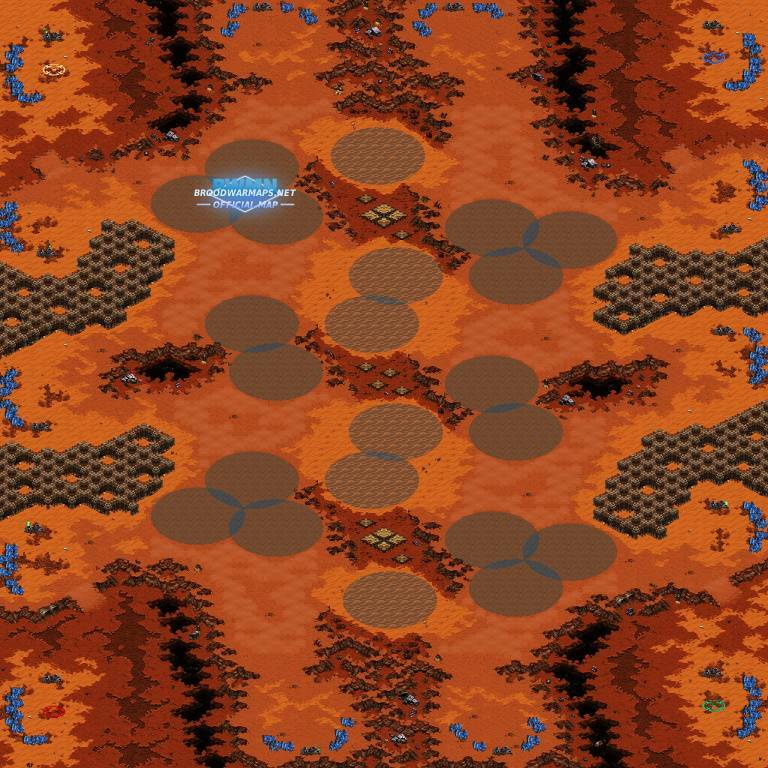 There is a melee and observer version as well as a picture for each map. All maps are protected and compressed for fast download. there will also be brief 101 tactics guides available for all the maps soon.